UFO are an English rock band that was formed in London in 1968. They became a transitional group between early hard rock and heavy metal and the new wave of British heavy metal. The band's current lineup includes vocalist Phil Mogg, lead guitarist Vinnie Moore, bass guitarist Rob De Luca, and drummer Andy Parker. They have gone through several line-up changes, leaving Mogg as the only constant member, and had two hiatuses. The band are also notable for featuring former Scorpions guitarist and MSG founder Michael Schenker, who was a member of UFO from 1973 to 1978 and again, occasionally, between 1993 and 2003, when Moore replaced him. In May 2018, Mogg announced that he will retire from UFO after one last tour as a member of the band in 2019. The Michael Schenker Group are a guitar-oriented hard rock band formed in 1979 by former Scorpions and UFO guitarist Michael Schenker. In 1986, Schenker and vocalist Robin McAuley formed the McAuley Schenker Group, which lasted until 1993. After that, in 1996 the Michael Schenker Group was reformed. Plastic Penny was an English 1960s pop band, formed in November 1967 before splitting up in August 1969. The group had one hit single early in 1968: the song "Everything I Am". Most of the members went on to greater fame with other bands or in session work. Christine Anne Perfect, known professionally as Christine McVie following her marriage to John McVie, is an English singer, songwriter and keyboardist, best known as one of the three lead vocalists and the keyboardist of Fleetwood Mac. She joined the band in 1970. She has also released three solo albums. 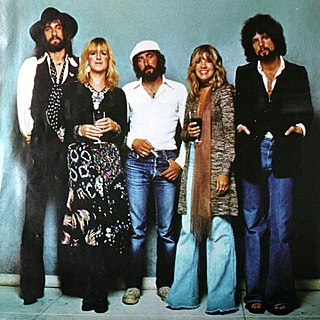 McVie is known for her smoky, alto vocals and her direct but poignant lyrics, which concentrated on love and relationships. AllMusic describes her as an "Unabashedly easy-on-the-ears singer/songwriter, and the prime mover behind some of Fleetwood Mac's biggest hits." Eight of her songs appeared on Fleetwood Mac's 1988 Greatest Hits album. Chicken Shack are a British blues band, founded in the mid-1960s by Stan Webb, Andy Silvester, and Alan Morley (drums), who were later joined by Christine Perfect in 1967. Chicken Shack has performed with various line-ups, Stan Webb being the only constant member. Danny Peyronel is an Argentine-born English rock singer, songwriter, keyboard player and producer, best known for his work in rock groups such as the Heavy Metal Kids and UFO. He had an English public school education in Buenos Aires. After studying piano since the age of five, as well as theory and composition, he did further superior musical studies at the Juilliard School of New York. Although Peyronel grew up all over the World, including the United States, he considers London his home. Peter Frederick Way is an English bass player. He is best known as the bassist in UFO with whom he played for 31 years. Way is also known as a founding member of Waysted and Fastway. He has also notably played with Michael Schenker Group and Ozzy Osbourne. Waysted is a rock band formed by the UFO bass guitarist Pete Way and the Scottish rocker Fin Muir in 1982. Recruiting Frank Noon, Ronnie Kayfield and Paul Raymond, Waysted signed to Chrysalis Records and released Vices in 1983. Wikimedia Commons has media related to Paul Raymond (musician) . David Walker is an English singer and guitarist who has been front-man for a number of bands; most notably Idle Race, Savoy Brown, Fleetwood Mac, and, briefly, Black Sabbath. No Heavy Petting is the fifth studio album by the British rock band UFO, released in 1976. 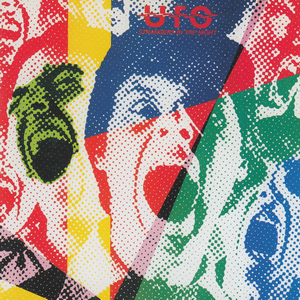 It is the first UFO album to feature a full-time keyboard player as a member of the band, making this their first record as a five-piece band. While keyboardist Danny Peyronel only stayed in the band for this one album, he did co-write several tracks on the record. Peter Green is a British blues rock singer-songwriter and guitarist. As the founder of Fleetwood Mac, he was inducted into the Rock and Roll Hall of Fame in 1998. Green's songs, such as "Albatross", "Black Magic Woman", "Oh Well", "The Green Manalishi " and "Man of the World", appeared on the record charts, and several have been adapted by a variety of musicians. Angel is an American rock band from Washington, D.C., United States, formed in the mid-1970s by Punky Meadows and Mickie Jones. They were signed to Casablanca Records, and had the image of dressing in white. Aynsley Thomas Dunbar is an English drummer. He has worked with Nils Lofgren, Eric Burdon, John Mayall, Frank Zappa, Shuggie Otis, Ian Hunter, Lou Reed, Jefferson Starship, Jeff Beck, David Bowie, Mick Ronson, Whitesnake, Pat Travers, Sammy Hagar, Michael Schenker, UFO, Mogg Way, Flo & Eddie, Michael Chapman, Jake E. Lee, Leslie West, Kathi McDonald, Keith Emerson, Mike Onesko, Herbie Mann, and Journey. Dunbar was inducted into the Rock and Roll Hall of Fame as a member of Journey in 2017. Strangers in the Night is a live album by British heavy metal rock band UFO, first released in 1979 on the Chrysalis label. Daniel David Kirwan was a British musician whose greatest success came with his role as guitarist, singer and songwriter with the blues rock band Fleetwood Mac between 1968 and 1972. He released three albums as a solo artist from 1975 to 1979, recorded albums with Otis Spann, Chris Youlden, and Tramp, and worked with his former Fleetwood Mac colleagues Jeremy Spencer and Christine McVie on some of their solo projects. John Anthony David Sloman was born in Cardiff, South Wales, 26 April 1957 as the eldest of six children. He is best known as the lead vocalist for Welsh band Lone Star during 1977/'78 and classic rockers Uriah Heep from 1979 to 1981. Phillip John Mogg is the lead singer for the English rock band UFO, which he formed with longtime friends Pete Way and Andy Parker. Lone Star were a Welsh rock band formed in Cardiff, Wales in 1975. They released two albums on CBS Records before splitting up in 1978. 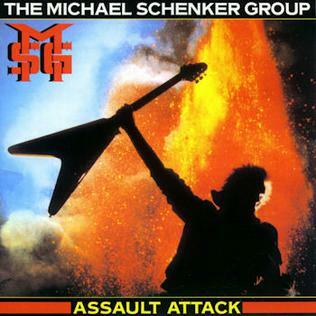 Assault Attack is the third studio album from The Michael Schenker Group, and the only album to feature former Rainbow vocalist Graham Bonnet. The album was recorded in France at the Château d'Hérouville and was produced by Martin Birch. Paul William "Tonka" Chapman is a Welsh rock guitarist best known for his work in bands such as UFO and Lone Star. Chapman is well known by his nickname "Tonka", allegedly acquired because of his indestructible qualities. Jeremy Cedric Spencer is a British musician, best known as one of the guitarists in the original line-up of Fleetwood Mac. A member since Fleetwood Mac's inception in July 1967, he remained with the band until his abrupt departure in February 1971, when he joined a religious cult called the "Children of God", now known as "The Family International", with which he is still affiliated. After a pair of solo albums in the 1970s, he continued to tour as a musician, but did not release another album until 2006. Releasing further solo albums in 2012, 2014 and 2016, Spencer has also recorded as part of the folk trio Steetley. ↑ Eder, Bruce. "Paul Raymond- Biography". Billboard. Retrieved 1 April 2017. 1 2 3 4 5 6 "UFO Keyboardist/Guitarist PAUL RAYMOND Dead At 73". Blabbermouth.net. April 13, 2019. Retrieved April 13, 2019. ↑ Outinot, Dan (3 February 1980). "Albums: ufo, bruce cockburn, thelma houston". Reading Eagle. Reading Eagle. p. 30. Retrieved 21 January 2010. ↑ "UFO - ROCK BAND - LATEST NEWS". ufo.band. Retrieved April 13, 2019.